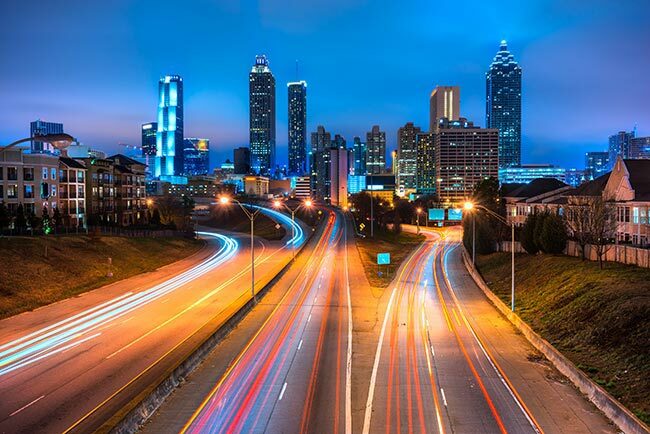 Known to many as The Gate City, the Silicon Peach, or Hotlanta, the Atlanta Metro area is one of the most dynamic commercial hubs in the United States. 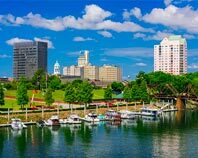 The city’s economy is as diverse as it is powerful, hosting everything from Coca-Cola bottling to software development to metal and machinery manufacturing to printers and publishers. Not one of these industries can survive without quality shipments. 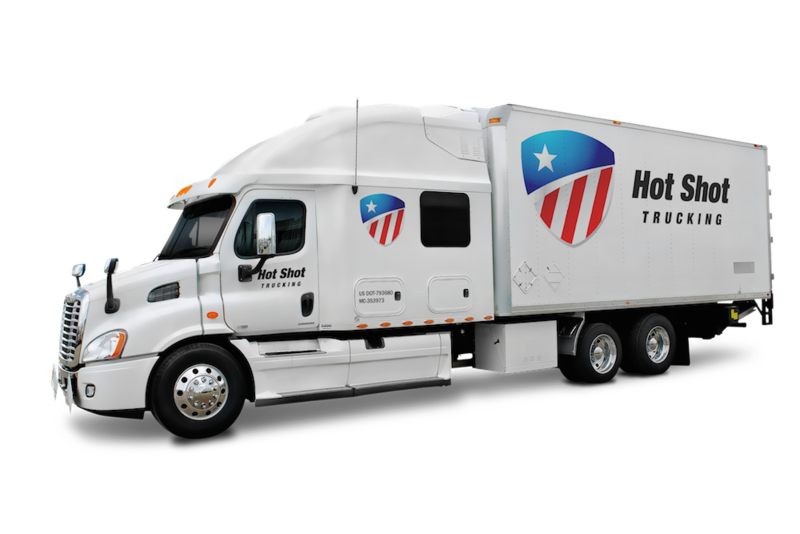 Hot Shot Trucking strives to keep this great city moving, ensuring that any delivery heading in or out arrives safely and on time. 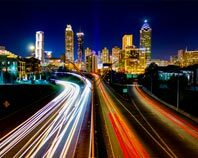 With an estimated GDP of nearly $313 billion, Atlanta proper is one of the wealthiest urban economies in the world. The Atlanta metro area is even larger, encompassing the vibrant economies of Clarke, Athens, Sandy Springs, and other nearby towns. The city’s great wealth is due in large part to the presence of so many different industries. Rather than focusing on a single activity, the area attracts business from countless different fields, allowing its economy to thrive no matter how the market changes. Hot Shot Trucking has experience catering to a wide range of industries. Serving everything from construction to manufacturing to energy extraction to wholesaling, we have the flexibility, training, and equipment necessary for business in a diverse, growing economy. Despite our multifaceted experience, we are happy to make dedicated deliveries, reserving a truck for your specific products. We also pride ourselves on our speed, picking up your freight within 2 hours of the order and promptly heading to the destination. Team Drivers - For deliveries to and shipments from distant locations, we assign two drivers to operate each truck, allowing them to drive safely through the night. Truck Tenacity - We maintain a fleet of modern, efficient vehicles, which we constantly inspect and service to keep in good condition. 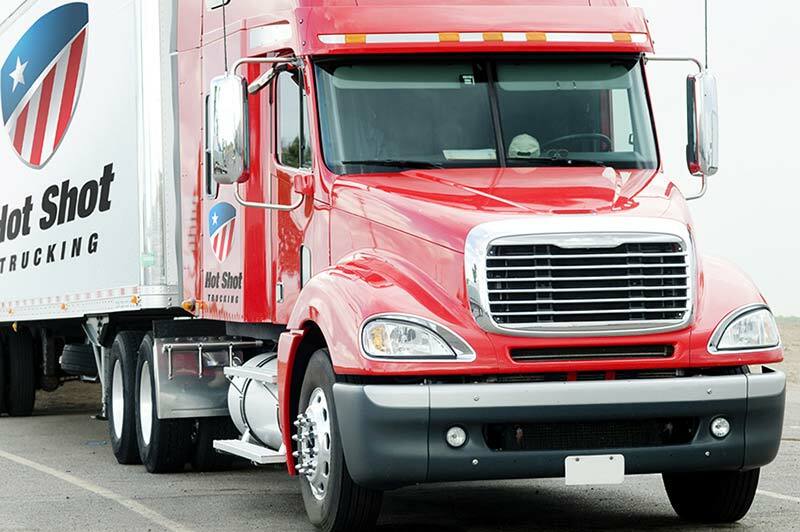 Our vehicles range in size from small sprinter vans to full tractor trailers, allowing us to provide you with a truck that is the perfect size for your shipment. Detailed Devotion - From the moment you inquire about our services, Hot Shot Trucking pays close attention to your needs and worries, striving to address them all. Comprehensive Communication - Hot Shot Trucking offers a single, reliable source of information on your shipments. We will take your calls 24 hours a day, 7 days a week, and are always ready to start a service or answer questions. Atlanta’s diverse, dynamic economy is both a blessing and a curse. While it provides jobs and others opportunities to thousands more each year, it has also led to a complex, confusing systems of logistics. Hot Shot Trucking’s goal is to simplify that system, helping the Atlanta area grow without skipping a beat. To learn more about Hot Shot services in Atlanta or request a free quote, contact us today.